Dan appeared on Good Morning America today to discuss the search for the missing University of Louisiana student. Michaela “Mickey” Shunick, 22, was last seen on Saturday May 19th via surveillance footage riding her bike home from a friend’s house at around 2 a.m. in the town of Lafayette. 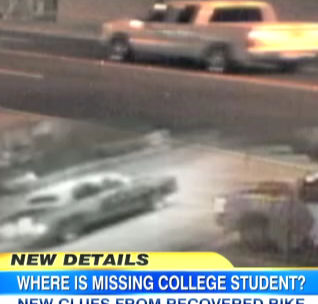 Now, more than a week after her disappearance, new evidence has surfaced – police have recovered the bike she was riding when she was last seen from under a bridge. The bike looks like it has been hit, “meaning the first thing they wanted to determine was could the bike have been thrown off the bridge – the authorities seem to have ruled that out,” explains Dan, continuing that authorities now believe that the bike was placed there. The next question is, if she was hit, was it intentional? The authorities will have to use witnesses or the surveillance tape (which provides a “wealth of information” with “three identifiable cars”) to choose their next step. Dan also says that the police calling off the search just means that their efforts are “more targeted,” not that they are giving up. The authorities will now use all the new evidence and information to perform a more “pinpointed investigation,” predicts Dan. See the full video here.